He begins his studies in the Baixas Academy. San Jorge Art College. Mural painting school in San Cugat del Vallés, under the teacher Miquel Farré, with a scholarship from the Barcelona Provincial Council. He studies engraving at the Art College. 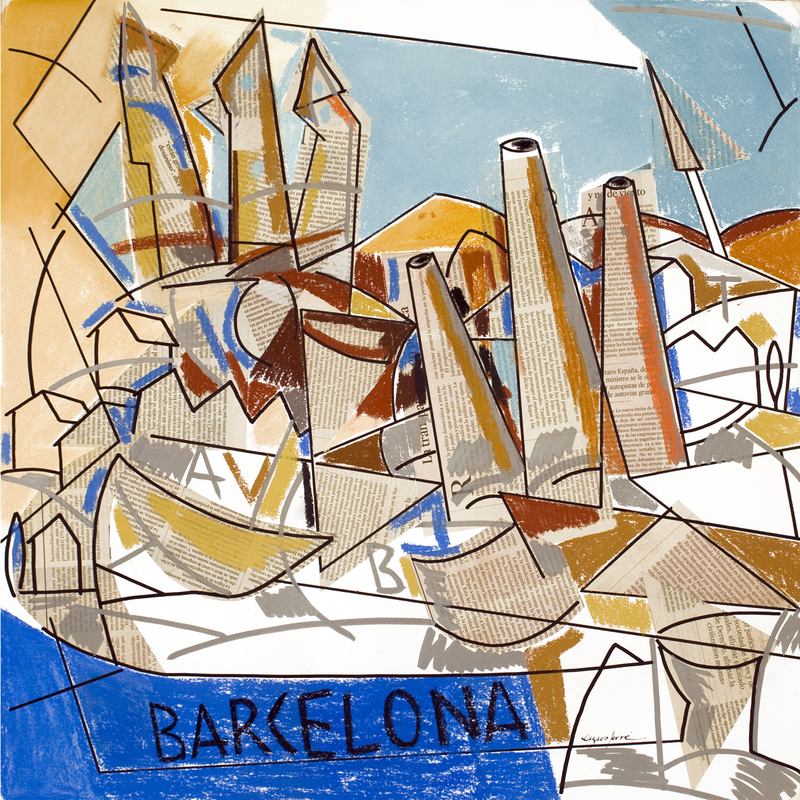 He collaborates with the painter Ramón Sanvincens on the Bankisur mural in Barcelona (Chamber of Commerce). Assistant to Professor Francisco Ribera Gómez at the San Jorge Art College. Prize from Barcelona City Council for the most distinguished student of the academic years. Scholarship from the Rodriguez Acosta Foundation in Granada. Study scholarship in the Paular de Segovia, silver medal from the Regional Council of Segovia.